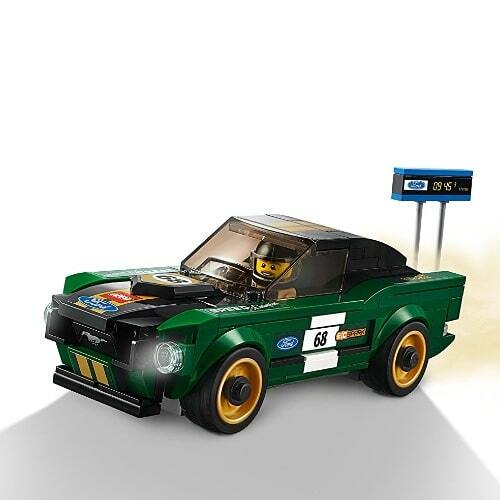 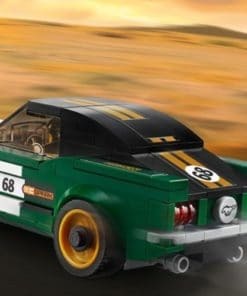 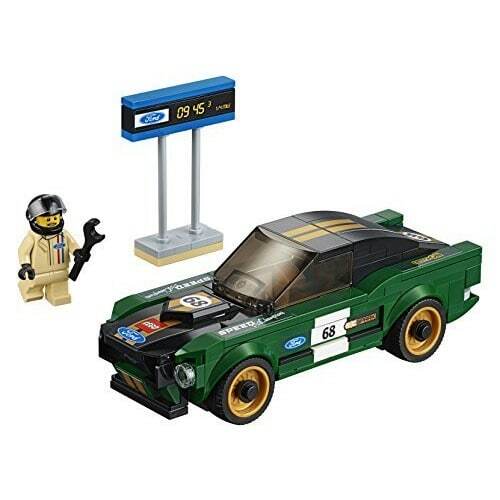 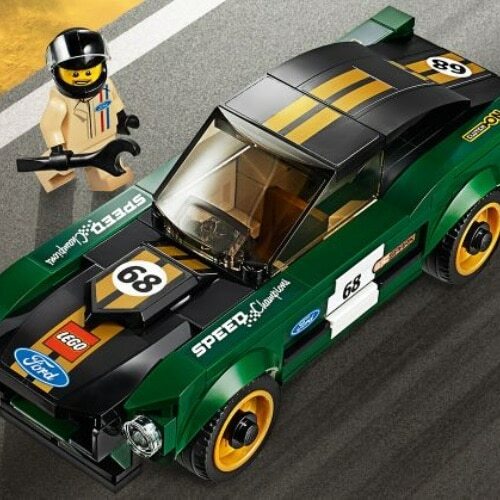 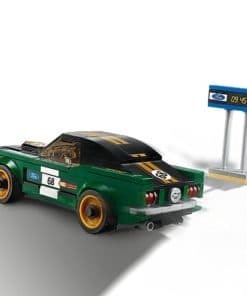 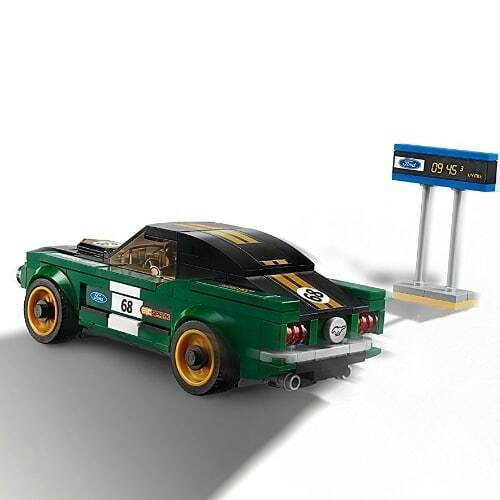 Race in classic style with the LEGO Speed Champions 1968 Ford Mustang Fastback (75884) and timing board. 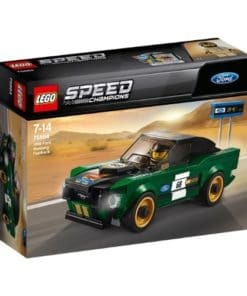 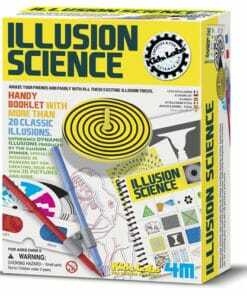 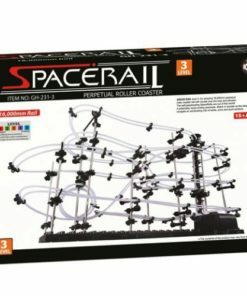 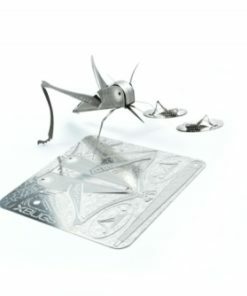 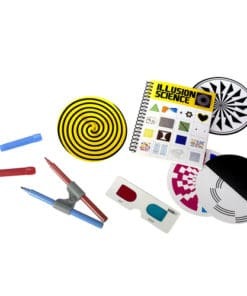 Purchase this product now and earn 675 DroidCoins™! 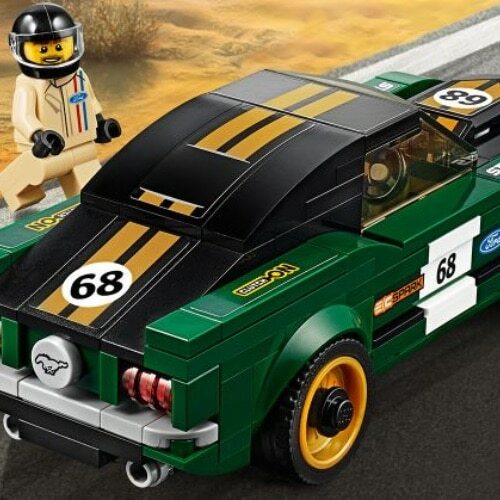 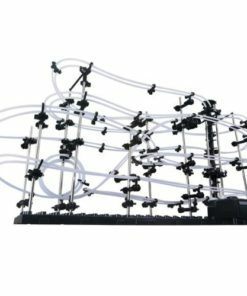 Build this beautiful car, place the driver in the cockpit and get ready for action. 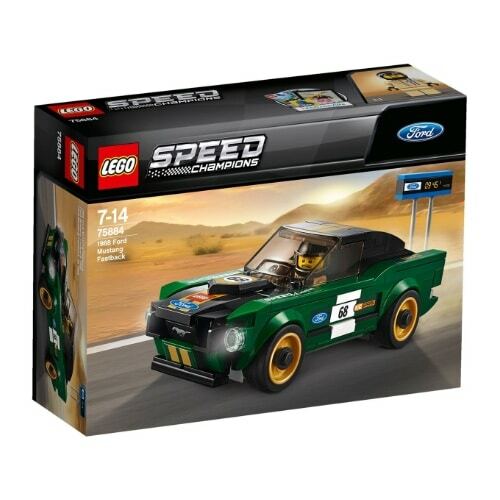 Challenge your friends to races and prove that you are the ultimate speed champ! 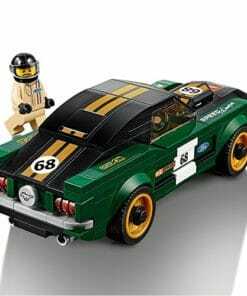 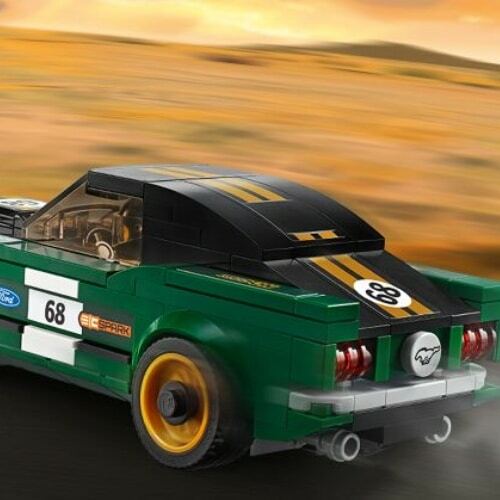 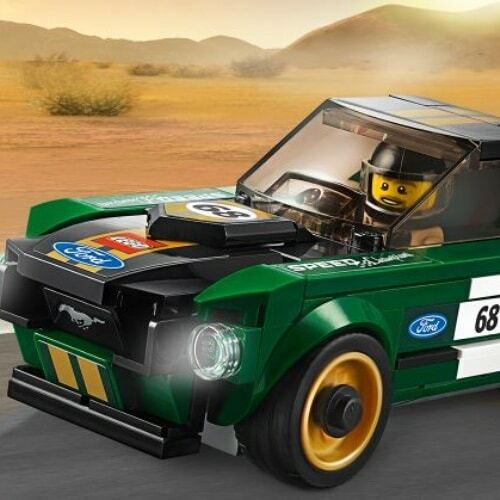 Create a buildable LEGO Speed Champions version of a classic car—the 1968 Ford Mustang Fastback. 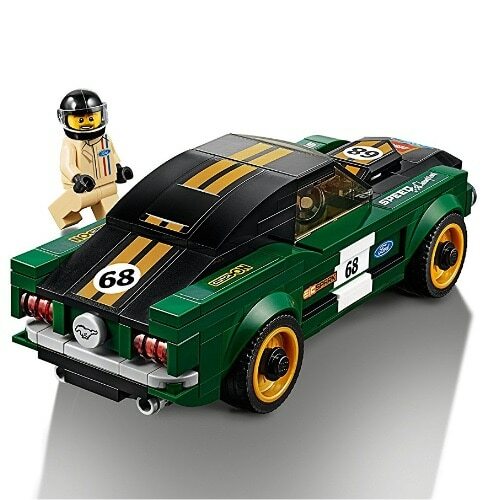 Ideal for display or racing, it features a mini-figure cockpit, removable windshield, wheels with rubber tires and gold coloured rims, and authentic design details. 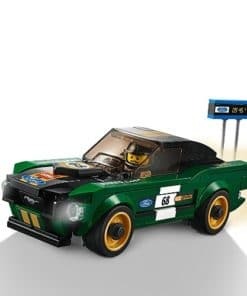 This LEGO Speed Champions 1968 Ford Mustang Fastback (75884) includes a mini-figure and buildable ‘timing’ board to play out race scenarios. 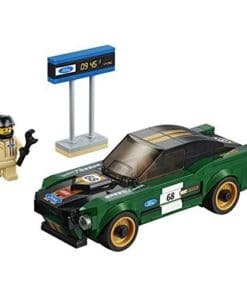 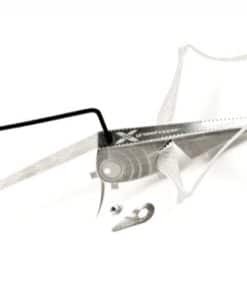 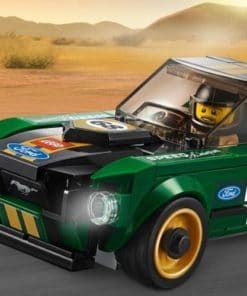 Remove the windshield to place the mini-figure in the car.